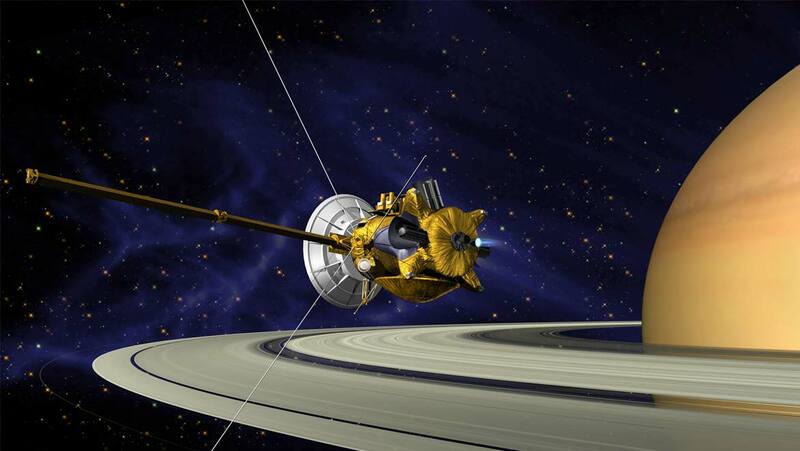 Cassini-Huygens is probably the most famous deep-space probe humanity has produced. Its launch, a joint venture between the Italian Space Agency, the European Space Agency and NASA, was a major international collaboration intended to send images and other data about Saturn and its many moons back to Earth. However, none of these agencies could have anticipated in full the revelations that Cassini’s sensors and cameras would transmit over its lengthy mission. The craft, which mainly consists of Cassini, the module that propelled the mission along, and Huygens, an advanced probe developed by the ESA, studied the planet, its rings and its associated bodies by orbiting them ceaselessly for years. The spacecraft’s successful transmission of in-depth information about these worlds amazed and informed scientists for years – and also unwittingly defined the nature of its own demise. Many people who benefitted from Cassini’s mission were sad to see it come to an end. However, Cassini’s final mission – a terminal flight into Saturn’s upper atmosphere near its northern pole – was also a poetic last line in its story: becoming part of the planet it had studied so well for so long. Cassini-Huygens was launched from Cape Canaveral on the 21st October 1997 – almost twenty years prior to the day its mission was to end. It was equipped with engines powered by radioisotopes to reach Saturn. However, the unmanned flight was helped along by several fly-bys past a number of planets, which generated a gravitational ‘sling-shot’ effect to speed up its journey to its ultimate destination. This energy-conserving method of space flight allowed it to reach Saturn nearly seven years into its trip. Huygens, which had been ensconced in veritable stasis in its dock on the main body of Cassini up to this point, was successfully deposited on the surface of Titan. The probe proceeded to capture some astounding footage that turned the study of that moon on its head. Huygens sent high-resolution images of the moon’s surface that portrayed the methane-rich world as a landscape filled with rounded stones and vast plains – which were more relatable to some places on Earth than anyone might have expected. The descent onto Titan was a difficult and complicated process lasting nearly two and a half hours, and resulted in 72 minutes of scanning and camera work on the part of Huygens; however, no-one can say that this time and effort was wasted in the slightest. The Huygens probe was a device of 2.7 metres in length that resembled something like a clam on the outside. The outer shell giving this appearance was designed to be tough enough to protect the delicate sensors and instrumentation on the inside. Huygens contained a long list of these; they ranged from equipment not too different from those found in the average chemistry or biochemistry lab. For example, it had a gas chromatograph and mass spectrometer (GC/MS) to analyze the atmospheric samples taken in by the aerosol collector/pyrolyser. However, its spectral imaging and radiometry module was a little more particular to the Titan descent mission. This instrument generated images and recordings across an exceptionally broad spectral range while parachuting to the moon’s surface. Similarly, another instrument emitted radio waves, as it was anticipated that the winds on Titan would create a Doppler effect as the probe made landfall. This would allow Huygens to study the properties of the atmosphere while active on the moon. The probe also contained sensors to study almost conventional properties, such as temperature, pressure, thermal conductivity and the speed of sounds on the extra-terrestrial world. It also studied the index of refraction and dielectric constant of liquids on Titan. Huygens found that Titan has argon, ethane, nitrogen and ammonia in its atmosphere, in addition to its methane content. Its surface temperature is -180⁰C and is subject to 1500 millibars of pressure. Huygens revealed many other unexpected facets of what it’s like within Titan’s atmosphere, such as that it does in fact have dynamic weather patterns and that it is likely to have both large land- and ocean-covered regions. However, it did not manage to answer some other questions, an example of which is what the most prominent feature of Titan as seen by Cassini, Xanadu, actually is. Cassini itself sent back its own impressive portfolio of ground-breaking data concerning the nature of Saturn, its rings and other moons. A prime example is the discovery that Enceladus, a major target of Cassini’s based on previous findings that it might contain ice, does in fact have water under its surface. In fact, Enceladus is entirely covered with water, the surface of which is frozen. Evidence of water on this and other moons in Saturn’s orbit suggests that life could evolve on these worlds. Cassini made these findings using its camera. These cameras could detect light of normal, ultra-short and ultra-long wavelengths, which was sent back as raw data that was then processed on Earth to generate images of both familiar and novel Saturnian features. Cassini also contained an array of spectrometers, magnetometers and spectrographs to measure and analyse the ions, plasma, gravitational waves, magnetic forces and cosmic dust (which included ice) emitted from or acting on Saturn, its rings and moons. However, these advancements in knowledge also led to the orchestration of Cassini’s demise in September 2017. Thanks to Cassini-Huygens, Saturn’s lunar system has gone from a lifeless pantheon of planet-orbiting rocks to a pantheon of potentially life-supporting worlds vibrant with research potential. However, this also informed how the spacecraft’s mission was to come to an end. Given that some moons such as Enceladus are apparently rich in water, while others like Titan are home to organic molecules that may be the partial basis for life, this presented a problem for Cassini and where it would rest when its fuel source was depleted. Researchers back on Earth had found that bacteria could survive in space and possibly propagate on encountering favourable conditions (like water or potential food sources) in extra-terrestrial environments. Therefore, Cassini could not land on a moon as planned, in case micro-organisms that had come along for the ride happened to thrive there. Even though the real-world chances for this are likely to be minimal, scientists at space agencies cannot take the chance that these moons could become contaminated before they can be studied. Accordingly, the plan to end Cassini’s mission was changed so as to drive the craft directly into Saturn’s atmosphere, at an angle that would avoid the planet’s South Pole and its massive storm system. The craft would burn up harmlessly, leaving the worlds it studied pristine for the future research missions that would be its legacy. Cassini sent its last radio signals at approximately 12:55 GMT on September 15th, 2017. In its twenty-year run, it discovered new Saturnian moons, gave an unprecedented insight into the appearance and geology of fascinating worlds such as Titan and Iapetus, and produced inspiring images of Saturn and its rings. Cassini-Huygens has paved the way for further missions that explore worlds such as Enceladus, and maybe even future flights to even further-flung planets in our solar system. In addition, it is to be hoped that the success of the Huygens probe has solidified the role of European space research in these endeavours.